SDSS of West Hartford is NOW OPEN! On May 1, 2018, Steve DeMasco’s Shaolin Studios proudly opened its 15th location, in West Hartford, CT.
You can find the spacious West Hartford studio nestled behind the Big Y in the Crossroads Plaza at 772 Main Street. With easy access from I-84, our newest location serves students in West Hartford and the Greater Hartford area. Students receive semi-private and group instruction on a weekly basis in a fun, family-friendly and high-energy learning environment. Lessons are scheduled at your convenience, and your first lesson is free. 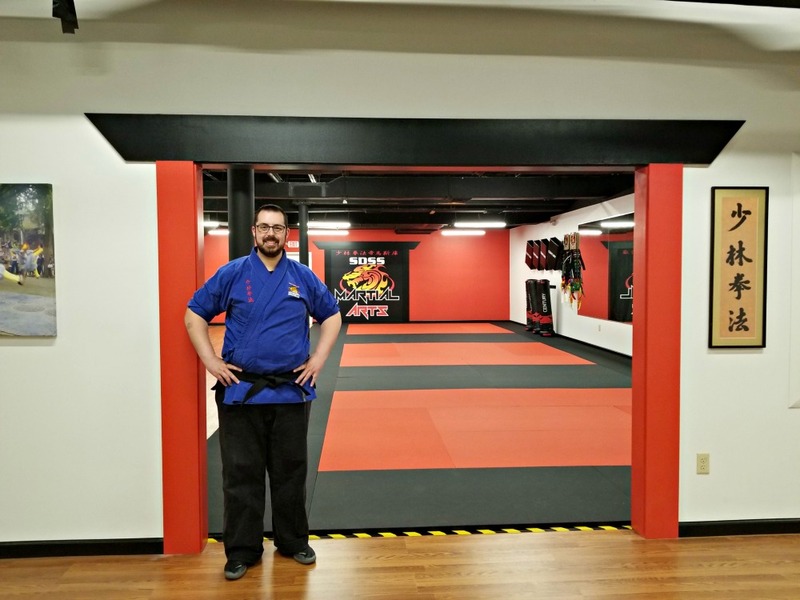 Right now, SDSS of West Hartford is offering a Grand Opening Special: 4 semi-private lessons, a month of group classes, a uniform, and a white belt, for just $95. Both Andrew and Haley Collard graduated from the SDSS Academy of Professional Martial Arts Instruction. This two-year program includes rigorous instruction in the martial arts, business development, and educational practices. At SDSS of West Hartford, students receive weekly semi-private instruction and unlimited use of group classes. They deliver group classes for adults, teens, and children of different age groups. SDSS was the first in the industry to provide that level of instruction for all its students. SDSS of West Hartford can be reached at 860.461.1212, or at sdsswesthartford@aol.com.